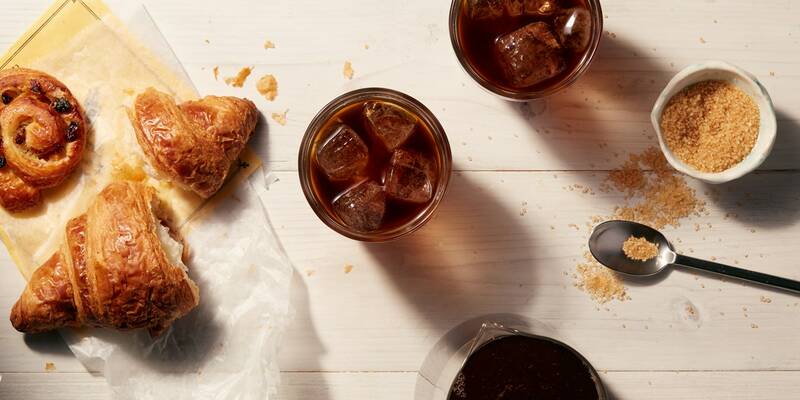 With summer in full swing, cold brew coffee continues to be a popular choice. Don’t confuse this type of coffee, also known as cold drip coffee, with simply pouring some ice over a hot beverage. Today, we’ll walk you through 12 of the best cold brew coffee maker reviews so you can get the best set-up for your needs. After that, we’ll show you why using cold brew makers makes sense if you want the best iced drinks in town. III. Cold Brew or Hot Brew? When we sift through all the products we test to deliver our top pick, price and convenience need to enter the equation so we don’t only focus on the most expensive. Indeed, generally the priciest piece of kit disqualifies itself as the top pick because it’s not suitable for everyone. Overall, the County Line Cold Brew Coffee Maker earns our top spot for a combination of its simplicity, durability, keen price and versatility. The Mason jar design, glass and stainless steel build along with the ability to make a range of iced infusions beyond a cold brew coffee makes this the best all-rounder. How about that costly model we mentioned, though? Resembling a cafetière in pitcher format, Takeya make a rock-solid 4-cup cold brew maker that snags our first runner-up spot. With the all-important glass construction combined with an ultra-fine mesh filter to fully extract the concentrate from your fresh beans, making cold brew coffee is simplified without compromising the end result. The proprietary FreshLok system maximizes flavor retention and the design in place guards again any sudden temperature changes. For an affordable and minimalist cold brew coffee maker that fits in the door of most fridges and can be safely popped in the dishwasher, look no further than the Takeya. Narrowly missing out on second place, the OXO cold brew coffee maker comes out a worthy third. One of the reasons it loses out is because it’s not exactly cheap but then the best things in life seldom are. Fashioned from borosilicate glass with the requisite stainless steel mesh filtering your coffee, water is perfectly and evenly dispersed over your grounds thanks to the perforated rainmaker. The OXO is fairly compact anyway and breaks down for even easier storage. Cleaning is a breeze and all you need to do is flick a single switch for a golden cup of cold brew coffee every time. We appreciate here at Fourth Estate that many readers are operating on a tighter budget but don’t want to dip out on top-notch coffee. For this reason, we always try to review a broad spread of coffee makers at all price points. Our no-questions winner for the best budget cold brew coffee maker is this Mason jar affair from Simple Life Cycle. You’ll get a choice of sizes depending on whether or not you like your morning coffee super-sized and you can opt for a lid to co-ordinate with your kitchen. Making your cold brew couldn’t possibly get any simpler. Add beans to taste then top up with water and pop it in the refrigerator overnight. You won’t need to revisit it and agitate this true set-and-forget solution to the best cold brew coffee every time. And the best news? It costs less than a round of drinks at your local coffee shop but it’s the gift that keeps on giving. While using a French press gives you an undeniably great cup of hot coffee, how about using it to make cold brew instead? The great news is that it couldn’t be easier. The procedure is precisely the same as making hot coffee except you skew the ratio slightly so it’s 1:7 coffee to cold water. If you don’t already own a French press, we’d point you in the direction of this stainless steel beauty from Secura. More robust than the standard glass variant, you’ll get a cafetière built to last for years. 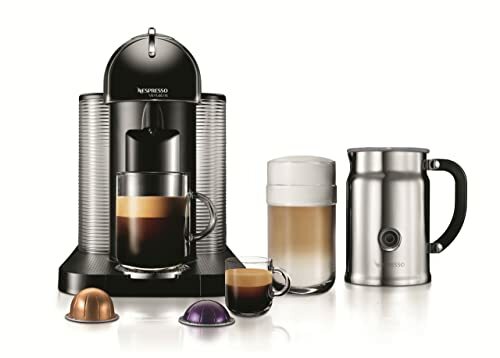 With a triple filter to enhance the taste of your coffee, a cool touch handle to avoid any nasty burns and a dishwasher-safe design all at a price you’ll love, the Secura is well worth investing in for both hot coffee and cold brew when the weather heats up and you fancy a refreshing change. If you have a more fluid budget and the space to accommodate it, our tip for the best cold brew coffee maker on a grander scale is this beast from KitchenAid finished in a brushed stainless steel. While the picture shows what looks like a bulky unit, this coffee maker is expressly designed to fit inside a regular refrigerator. It even has an integrated tap so you can draw yourself off a coffee straight from the fridge without needing to move it onto the counter. Using the KitchenAid is a breeze. All you need to do is pop in some freshly ground coffee and cold water then sit back and allow 12 hours before enjoying a fantastic cold brew without standing on ceremony. A cakewalk to use and equally easy to clean, this cold brew coffee maker has the looks to grace any kitchen and the performance to match. If money is no object – and let’s face it, for some people it isn’t – we can’t recommend Yama’s beautiful glass cold drip coffee maker highly enough. Looking more like a contraption from a science lab than kitchen ware, the Yama is nevertheless super-simple to use. With a mixture of glass and ceramic where it counts for functionality along with a highly attractive wood finish for the sake of form, if you want a cold brew coffee maker that looks as great as the coffee it infuses, consider the Yama an investment rather than an expense. Were it not for the stiff price tag and bulky dimensions, this would displace the County Line as our top pick. The Toddy T2N Cold Brew System is an electricity-free way to enjoy iced coffee. The beauty of cold brew coffee makers is that they do all the hard work for you. Simply measure out your coffee, add water and steep for 12-24 hours. You’ll get a highly concentrate coffee you can enjoy cold without the acidity you’d find with a hot brewing process. If coffee isn’t to your taste, you can make tea. As with the coffee, you can drink this concentrate hot or cold. There are 2 reusable filters thrown in. The added bonus of cold brew coffee makers is that they keep your coffee fresh for longer. Although it’s not the cheapest option, with Toddy you get great brand heritage and a stylish, durable piece of kit that’s built to stay the distance. Another simple iced coffee maker at an extremely affordable price point, this sleek pot from Hario Mizudashi comes with a stylish bright red colorway. The 1 liter pot is dishwasher safe and lets you brew 4 or 5 cups ready to enjoy hot or iced. Instructions are in Japanese so check out the manufacturer’s website and get the PDF version in English here. The brew comes out fairly weak. If you want a stronger drink, use higher quality coffee and shoot for a finer grind. Just add some water to your coffee and leave to brew or pop straight in the fridge. The ease and simplicity of cold brew coffee makers are 2 of the key selling points. Making delicious iced beverages doesn’t get much simpler. Available in 2 sizes (1 liter and 1.5 liter), this businesslike cold brew coffee maker has an airtight seal to make sure your coffee stays fresh for up to 2 weeks. The dual-mesh filter is made from stainless steel so it’s rugged and ensures the best quality coffee every time you need it. As with most cold brew coffee makers, the borosilicate glass and BPA-free seal are totally dishwasher-proof so cleaning is a doddle. Whether you prefer coffee, tea bags or loose leaf tea, making iced infusions just got even easier. Ovalware offer a no quibbles 90-day money back guarantee. This shows how much confidence the manufacturer places in their product and leaves you with nothing to lose. Another budget option next in our cold brew coffee maker reviews, this superb pot from Coffee Gator. This black cold brew maker resembles a French press but delivers far superior iced coffee with none of the acidity or bitterness that can taint the experience. While the trade-off is a longer overnight brewing process, all you need to do is set is aside and wait so there’s no hassle involved. There’s a stainless steel scoop and loading funnel chucked in so you can rack up your favorite drinks without making a mess of the work surfaces. Once you’ve made your coffee concentrate and it’s chilling in the fridge, it will stay fresh for weeks. It won’t last that long, though! Coffee Panda serves up a fantastic cold brew coffee maker at a keen price. At 1.3 liters, this pot is one-third larger than the average cold brew makers so it’s perfect for larger families or real coffee lovers. Since you store these containers in the refrigerator, it’s designed to neatly fit in the side compartment so you can let the brewing take place before filling up to 6 cups with top-tier iced coffee lacking any of the acidity that can spoil this drink if it’s made the wrong way. Coffee Panda offer a stress-free money back warranty so what have you got to lose? Road test one today and, if you’re not happy with the result, simply return it for a refund. We’re quietly confident you’ll be keeping it, though! II. Cold Brew or Hot Brew? 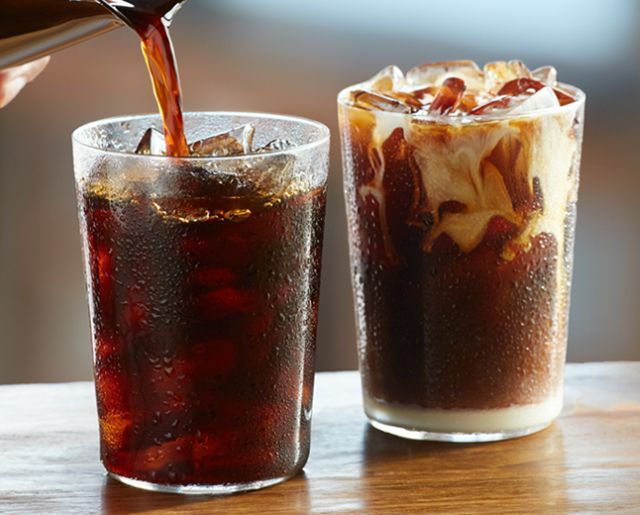 If you are partial to iced coffee, how do you go about making it the best way? Chucking some ice cubes over coffee brewed the traditional hot way is a recipe for disaster. While it might seem reckless to buy a separate piece of equipment for cold brewing, you won’t need to take out a bank loan and in return you’ll get iced coffee to impress. If you don’t want to invest in a cold brew coffee maker at all, we’ll show you later how to make home made cold brew with just a large jar, filter and colander. And, of course, some fresh coffee! Everyone is super-busy these days. One of the key selling points of cold brew coffee makers is their extremely user-friendly nature. Measure out your preferred amount of coffee and add cold water. Brew for 12 – 24 hours and keep refrigerated. It really doesn’t get much easier than that. 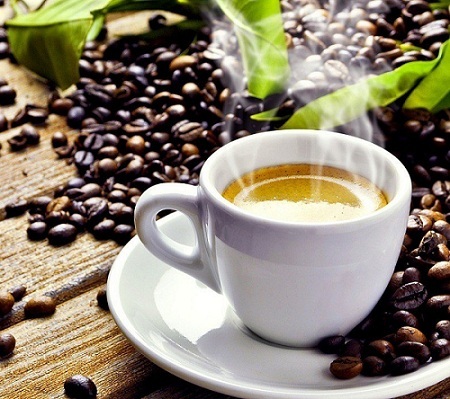 Many people adore the smell of coffee but find that the taste fails to match the enticing aroma. When hot brewing coffee, the grounds are exposed to hot water and end up releasing oils that simply won’t dissolve at lower temperatures. The result is that these oils are packed with acidic compounds. This gives you the famous bitter taste associated with coffee. A hint of bitterness in a hot drink is one thing but it tends to spoil the iced version. Your tongue ends up numbed by the acidity and you can’t enjoy the other flavors in the same way. Using a cold brew coffee maker brings down this acidity by almost 70% so you can kick back with a far subtler, more palatable drink. 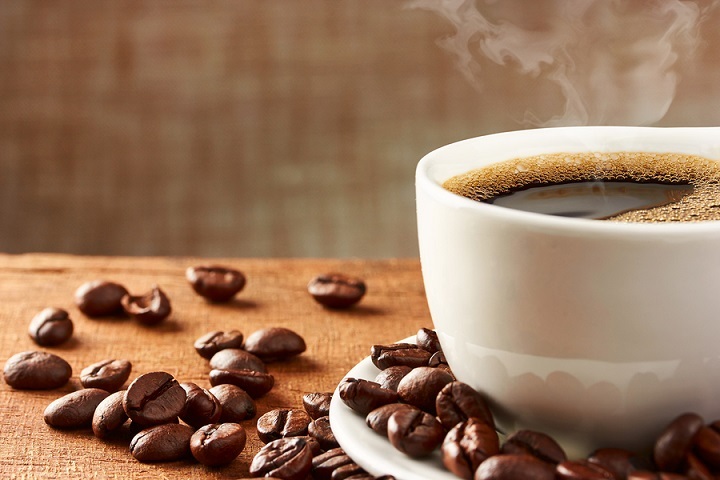 If you try to brew hot coffee and set it aside for an iced beverage, the oxidization process kicks in after about half an hour. As the coffee begins to break down, it rapidly goes stale. If you cold brew, you can sidestep this deterioration of flavor and your coffee will still remarkably fresh for weeks on end. The low-acid drink provided by cold brewing also allows you to get the full benefit of the other flavors in your coffee. You can get a real burst of chocolate, nut and fruit undertones rather than scorched bitterness. Beans from Central and South America lend particularly well to cold brewing. Single origin beans are ideal. You’ll get a perfectly balanced flavor with a welcome boost of sweetness. As soon as the grounds are filtered and the concentrate extracted, you won’t get a dip in flavor. The solution is stable, the flavor fully locked in. Keep your cold brew stashed in the fridge for anywhere from 1-2 weeks. This longer shelf life is absolutely ideal for anyone with a hectic schedule. Heading to the local coffee shop is a nice treat but the expense mounts up if you find yourself becoming a regular. It’s very easy to end up dropping $25 a week on a quick pick-me-up at Starbucks and that soon becomes a drain. The majority of cold brew coffee makers are priced very reasonably. For a small initial investment and the ongoing cost of some beans or ground coffee, you can start to make considerable savings by cutting out the expensive middleman. Not everyone wants coffee and one of the great bonuses of these cold brew makers is the range of drinks you can experiment with. Check with each individual pot on your shortlist to make sure but most allow you the freedom of making alternative beverages. Whether you prefer tea or chai, green tea or fruit infusions, a cold brewing system brings out the best in all your infusions. Add boiling water to your concentrated syrup and you can take your hot coffee to the next level. Once you’ve discovered the perfect concentrate, stop ice cubes from diluting your drink… Achieve this by making yourself some coffee ice cubes instead and preserve the chemistry of your drink the smart way. For hot or cold drinks, cocktails or cooking, coffee concentrate extracted using the cold brew system elevates it to the next level. Firstly, think about what cold brew coffee maker would work best for you. Now you’re all set for equipment, how do you go about making the perfect cold brew coffee? If you want to try the concentrate as a hot drink instead, simply mix with boiling water and give it a go. For anyone who likes to watch and learn, this short video shows you just how straightforward it is to get Costa-standard coffee at home without wincing at the bitterness. We hope you’ve found these cold brew coffee maker reviews have steered you in the right direction. If you haven’t yet dried brewing coffee this way, get started today and start enjoying the perfect iced drinks tomorrow. You owe it to yourself to sidestep bitter and acidic coffee and to extract the very best from the beans without any complicated procedure to navigate. Feel free to get in touch with any queries or feedback. You’re also always welcome to share our articles on your preferred social media. Now get that brew going and come back soon!